It is really fascinating going to makers studios to talk about the tools they use, you learn so much more about their making process. For reasons of scale, I had established before visiting Eleanor Pritchard that I was interested in the smaller tools that she uses in her practice, rather than her loom. I had no idea however that I would come away with pictures of a calculator and beautiful little paper spools that had discoloured in the sun. 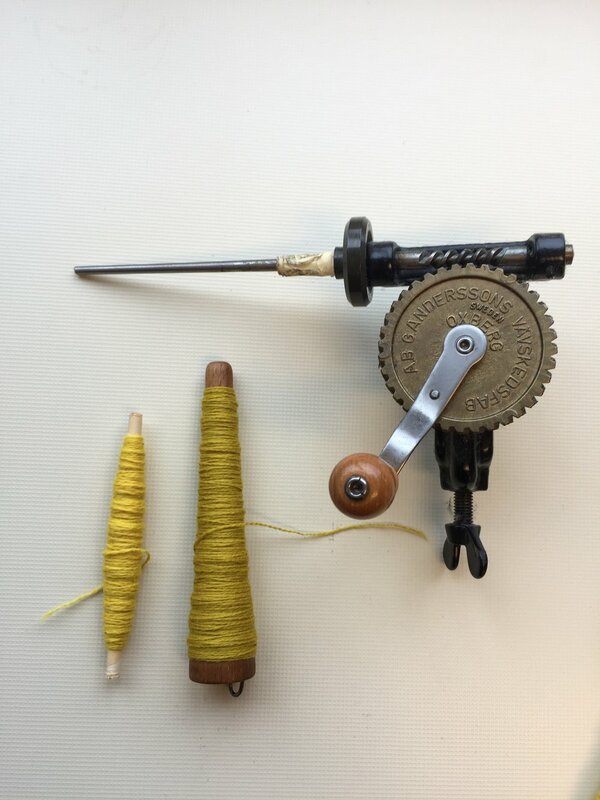 Eleanor explained that one of her favourite things is threading the loom up, she actually has to sit inside the enormous loom and count and thread using the long hock tool pictured below. It is technical, repetitive and meditative. It is easy to forget how mathematical weaving is. Eleanor hand weaves all the samples of her designs in her studio to decide what to put into production, I think it is really exciting that Eleanor has all her fabulous fabrics woven at different specialist mills across the British Isles, blankets in West Wales and Lancashire and upholstery fabric on the Isle of Bute off the west coast of Scotland. When I was making this piece it felt quite insane stitching a spool of thread especially in all those neutral tones! Eleanor uses loads of lovely colours and wound spools of different yarns especially for me. 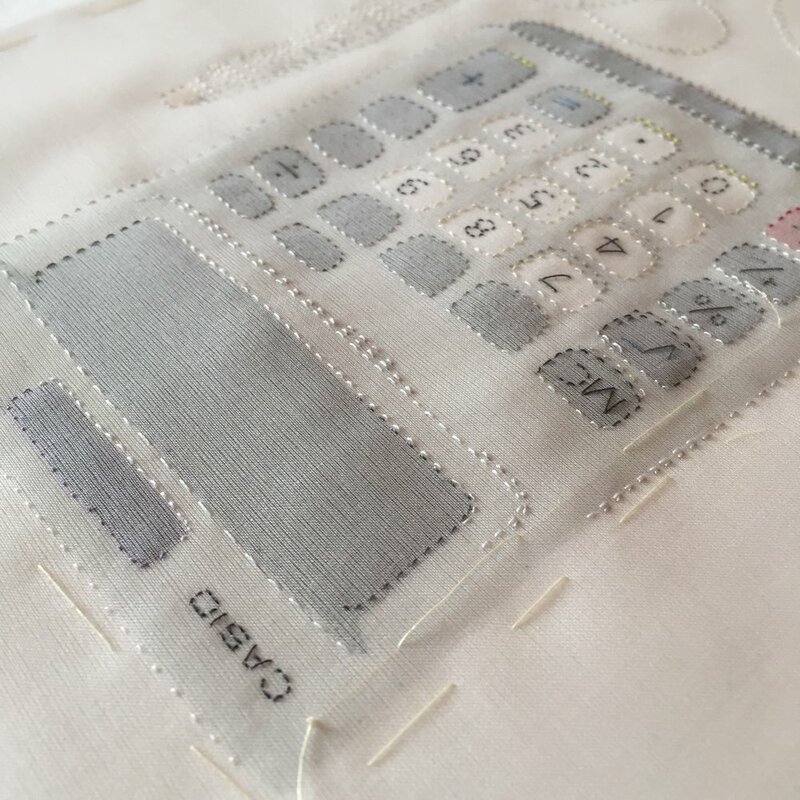 Some how the calculator and the off white yarn complimented each other they seemed to speak the same language. I did ask Eleanor if she minded being represented as a calculator but she assured me it really is a vital tool. This work is part of my project 'The Value of Making' and will be on show at Collect Open 2018. My project is supported using public funding by the National Lottery through Arts Council England. Many thanks to Eleanor for having me, you can find out more about her practice and stunning fabrics here .